If you love doing outdoor cleaning tasks, whether as a handyman or as a professional, you need to invest in a high-quality electric pressure washer. It is a power equipment that will make your life easier in more ways than one. They are not only affordable, but also user-friendly. Even if you are a beginner, cleaning does not have to be complicated. In the rest of this post, I will help you search for the best electric pressure washer that is available on the market today. To help you narrow down the possibilities, I will provide a rundown of their most notable features, as well as some of their pros and cons. Which Electric Pressure Washer Is The Best? The table below shows some of the best options and a glimpse of the things that you can expect from them. The succeeding section, meanwhile, will provide an in-depth discussion of these products. With a 14.5-amp motor that delivers 1,800 watts, this is a powerful pressure washer that is perfect even for beginners. It can be used not only for home cleaning, but also for cars, boats, and RVs, among others. Among its features, one that is worth noting is the dual detergent tank system, which makes it easier to use. Each tank has a 9-liter capacity. This means that you can use two detergents at a time and there is no hassle in switching from one to another. The Total Stop System is another feature that is worth mentioning in this product, which is an exceptional safety feature. When you are not holding the trigger, the pump will automatically stop on its own. This will lengthen the life of the motor while also minimizing energy consumption. For versatility, there are five quick-connect spray tips, which are easy to change depending on the specific cleaning application that you will complete. There are 0, 15, 25, and 40-degree spray tips, as well as one that is designed specifically for soap. Lastly, the manufacturer is offering a limited warranty that lasts for two years, which should be enough to provide you with peace of mind. For most small-scale cleaning applications, this electric pressure washer will be more than enough for your needs. It has 1.2 GPM and 1,700 PSI. A universal motor is also included, making sure that it will be able to deliver reliable performance. There are also many features that will ensure optimal convenience for the user. For instance, the on and off switch is foot-activated, which will be effortless to access. There is no need to bend over, and hence, it is more comfortable. The storage bin is also an excellent feature in this product. This will provide you with adequate space to keep accessories and personal items within easy reach. It helps in the reduction of clutter and prevents damage to the items that are kept in the bin. The on-board detergent storage tank is also a convenient feature. It has a capacity of half a gallon. It will be quite some time of cleaning before there is a need to refill soap. To convince buyers to purchase this product, the manufacturer offers a three-year warranty. Plus, they also have a Rapid Exchange Program, which will allow you to enjoy hassle-free replacements when the product is defective. This is one of the best choices that I can personally recommend to people who are looking for a beginner-friendly pressure washer with a price that does not hurt the pocket. It has a straightforward design, although it is missing some features that could have been good for your convenience. Aside from the price, one more thing that is great about this product is the fact that it can be used either horizontally or vertically. Regardless of the orientation at which it is used, you can be assured that it will remain stable. To deliver the power that is needed for the most common cleaning applications, it has a 13-amp universal motor, which is also water-resistant. This improves not only its consistency, but also its longevity. There are also quick-connect nozzles that are included. You can choose from 25 and 40-degree nozzles, although this is fewer compared to others with four to five nozzles for different jobs. Lastly, the manufacturer is a proud member of Pressure Washers Manufacturers’ Association. This also means that it has passed a Performance Verification Program, which is an assurance of the product’s top-notch quality. This model delivers 1.4 GPM and 2000 PSI of cleaning power. The reliable performance of this pressure washer can be attributed to a lot of things, but mostly to its 14-amp and 1.6 HP universal motor, which makes it effortless to accomplish different jobs. To be able to save energy and to prolong the life of the motor, there is a Total Stop System. This automates the stopping of the motor based on the activation of the trigger. Looking at the components of the pressure washer, it has a 30-foot high-pressure hose, which is made of rubber. The material that is used in the hose, however, can be too stiff, which is why reeling the hose can require quite an effort. There is also a 35-foot power cord. You can work freely even when far from the source of power, which will provide you with the freedom to move, especially when you are cleaning a large area. Lastly, there is also one-year bumper-to-bumper warranty. This is pretty much the standard warranty duration, but some products mentioned above have better and longer warranty coverage. With 2,200 PSI, 1.8 GPM, and a 14.5-amp motor, there is no doubt that this pressure washer is made to deliver superior cleaning performance. Whether it is for cars, patios, decks, trucks, and driveways, among others, this can be your reliable cleaning companion. This is also a multipurpose pressure washer. Regardless of the cleaning task that you wish to complete, it has you covered. The package is inclusive of five interchangeable nozzles for low and high-pressure cleaning. A turbo wand is also included. Another feature that you will love in this product is the self-suction, which will make it possible to use even standing water when there is no garden hose. For safety, the pressure washer comes with Total Stop System Technology. When the trigger is not engaged, the motor will turn off automatically, which will save energy and prolong its functional life. Looking for a pressure washer that is easy to use? You have another good reason to pick this product. Right out of the box, the assembly will require only 30 seconds. For small to medium-duty cleaning applications, this is an excellent choice for an electric pressure washer. Looking at its technical specifications, it has 1,700 PSI and 1.3 GPM. One of the notable features in this product is the Instant Start/Stop System. This means that the motor will only run when the trigger is activated. If it is not engaged, the motor will stop. This is highly-beneficial in terms of improving the lifespan of the motor while also lessening the amount of energy that is consumed. For versatility, the manufacturer provides three quick-connect sprays. There is one spray tip for a cleaning solution and the other two are for 0 and 25 degrees of spray pattern that can result in precise cleaning. It is also worth noting that it has a high-pressure hose with a length of 26 feet. This will allow you to clean even if you are far from the unit, providing you with the freedom to move. Even if you need to move the unit, there should be no problem as it has wheels and it is lightweight. For most residential cleaning tasks, this electric pressure washer does the job. This is possible because of its 2,100 PSI and 1.8 GPM. It is more expensive than the options mentioned above, but with its power, the price can be justified. Taking a look at its features, one that I would like to commend is the 1,600-watt motor. This is one of the reasons why the performance is hard to rival. This power is packed in a product that is lightweight and compact. This electric pressure washer has two 16-inch wheels, which can tread almost any surface. Having it maneuvered will be easy on your end. To make it even more convenient for the user, it comes with a long handle, which is comfortable to hold even for an extended period. For versatile cleaning applications, a quick-connect spray is also included in this pressure washer. Aside from the 30-degree nozzle, a turbo nozzle is also included. More so, there is a .21-gallon on-board detergent tank. Lastly, like most of the top pressure washers, there is also Total Stop System to automatically stop the motor when you are not holding the trigger. If the pressure washer that you need is one that can do small-duty cleaning, this is more than enough. It has 1.35 GPM, 1,200 PSI, and a 9-amp motor, which is the perfect formula if you are looking for a household cleaning equipment. One of the best things about this product is the lack of complications. Even if you are a beginner, using this is sure to be easy. The design is quite straightforward. Plus, it is also lightweight and compact, which makes it easy to move around. You do not need to have the technical knowledge to figure out how the unit is assembled. Right out of the box, it is almost ready to be used. The attachments are so simple. Based on the manual from the manufacturer, the assembly can be completed in less than one minute. Another good thing about this pressure washer is that you can use it either in vertical or horizontal orientation. Regardless of its position, you can be confident that it will remain stable as you complete the cleaning task. This is one of the most expensive options for the products that have been briefly mentioned in this post. The cost, however, can be justified because of its powerful performance. It has up to 2,000 PSI and 1.6 GPM. Another thing that makes it worthy of its high price is the fact that it is multifunctional. It has attachments and accessories that will allow you to use it in different ways. There is a multifunction and turbo nozzle. There is also a soap dispenser, which can be adjusted based on your liking. Best of all, there is a spinning patio cleaner. For the longevity of the internal components, it should also be noted that it is designed with an overheat sensor. The motor will shut down on its own if the sensor is able to detect a surge in temperature. It will turn on only when the temperature is safe enough for the washer to be used again. Lastly, there is also an on-board storage in the unit. This means that all accessories will be handy, providing you with easy access to the things that you will need when cleaning. This is another product that comes at a price that can discourage many buyers. However, to be convinced that this is what you need, just look at its technical details. With 2,050 PSI, this is a powerful washer. One thing that makes it unique compared to most of the options in the competitive landscape is the fact that it comes with a 2-in-1 design. This can be used with the included cart, which is excellent in terms of maneuverability. It can also function as a stand-alone unit. A wall-mount kit can even be used, although such should be purchased separately. Like the unit itself, the accessories are also evident of exceptional quality. There is a 25-foot soft and flexible hose, which will allow you to work without having to be near the washer all the time. There are also nozzles in the kit, including one that is exclusive to be used for soap. The soap dispenser, on the other hand, has a capacity of 28 ounces. Lastly, the manufacturer is offering a warranty for two years. Within such duration, you are covered against defects and you can have peace of mind. They Operate Quietly: Compared to using a gas-pressure washer, an electric pressure washer does not produce noise that is as loud. This means that you can work in peace and without being a distraction within the neighborhood. Good for the Environment: To minimize harmful impacts of your actions to the environment, an electric pressure washer will help. Unlike its gas counterparts, it does not produce toxic fumes. Easy to Use: There is no need to feel intimidated, even if you are a novice in using such an equipment. Most of them have a straightforward design. They are also lightweight and portable for ease of moving around as you clean. You can also easily start the motor with a flip of a switch. Minimal Maintenance: This is another benefit that can be apparent when it is compared to gas-powered counterparts. The electric models are not too demanding in terms of upkeep, making them more user-friendly. Versatile Cleaning Applications: Another good reason to invest in an electric pressure washer is the fact that it is a multipurpose equipment. From cleaning trucks to the patios, it is the ultimate cleaning companion that you need to have. Car and Trucks: One of the most popular applications of washers would be for cleaning vehicles. The pressure can be effective in getting rid of mud and grime that can be attached to the surface, such as the tires and the engine. Grills: Do you often host barbecue parties at home? If you have a grill, you will notice that there are thick black particles that can lessen efficiency. A pressure washer will help you to get rid of it. Outdoor Furniture: Whether it is wood, vinyl, plastic, or any other material, cleaning outdoor furniture will be a lot easier with a pressure washer. Fence: You can instantly make the yard more attractive by cleaning the fence. 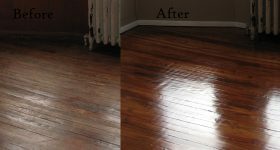 Over time, it can attract dirt and dust, which can also lead to discoloration. A pressure washer will be effective in cleaning the fence. Walls, Decks, Patios, and Driveways: With a pressure washer, it will be easier to remove stubborn dirt on the surfaces and to restore the look of some parts of the house. Even for the exterior walls of the house, it performs a thorough cleaning. Before I discuss some of the things to consider when buying, let us first have a look at how you can find the equipment that is perfect for your needs. You need to determine the intended use of the washer so that you can identify the power and pressure that are appropriate for your needs. There are two important things that will require your attention – PSI and GPM. PSI or pounds per square inch is simply the measurement of pressure. GPM, on the other hand, stands for gallons per minute, which is a measurement of the water output or the flow rate. Both, not only one of them, are important when choosing the right option. A higher PSI and GPM would mean that the product is more powerful. Consequently, the more powerful options also tend to be the more expensive. Most of the electric pressure washers have 1,500 to 2,500 PSI. For light cleaning tasks, 1,000 PSI will be enough. For medium to heavy-duty tasks, on the other hand, more than 2,000 PSI is ideal. Aside from the PSI and GPM, you also have to look at the details concerning the motor. To enjoy the best cleaning performance, choose one that has 12 to 15-amp motor, which will be sufficient for most cleaning applications. Size and Weight: A lot of people would prefer one that is lightweight and compact. Aside from being space-efficient when kept in the storage room, they are also effortless to maneuver. They can even be portable, which is beneficial for pros who are paid to do cleaning jobs in different places. Nozzle: Choose one that comes with interchangeable and multifunctional nozzles. You must be able to adjust the spray tips depending on what is required for a specific task. The nozzles must also fit nicely so that water will not end up leaking on the side. Materials: Look at the overall construction of the pressure washer and see to it that it is made from high-quality materials. Especially the hose, it must withstand high-pressure and should not be easily prone to wear. Ease of Use: There should also be features that are indicative of being user-friendly. For instance, it will be nice if there is a foot-activated on/off switch. Dual detergent tanks and on-board storage will also be great. Warranty: Within the specified warranty coverage, the manufacturer can offer free repair or replacement of the product, depending on the terms and conditions that have been specified. One of the pre-requisites is that the problem must not be a result of your negligence. Reviews: To help you arrive at a decision that you will never regret, you should take the time to read reviews and experiences of other people. Pay attention to what they are saying and it will be easier to trim down your list of choices. Read the manual and always follow the instructions from the manufacturer. Different companies may have varying methods of ensuring the safety of their products, so you must be aware of these things. See to it that the surface is stable. When the ground is uneven, there is a likelihood that the pressure washer will lose its balance. Look for a pressure washer with exceptional safety features. For instance, it will be great if the motor automatically stops when you are not holding the trigger. To add, there should also be protection from overheating. It also pays to be aware of your surroundings before you start to clean. See to it that there are no kids or pet. There should also be no electrical wires or anything that should not get wet or that can be easily damaged by high pressure. Before you start working, it will also be good to wear personal protective equipment, such as gloves and goggles. Turn it on only when you are ready to clean. Point the wand directly to where there is dirt. Do not point it to another person. Before storing the unit, see to it that there is no water left. Run the motor until the water completely exits the pump. Even the soap tanks, make sure that there is no detergent left. When you are not using the equipment, unplug it from the source of power. Store it in a place that is dry and cool. The manufacturer provides specific instructions on how to take care of different models. Make sure to follow it religiously. At least once in a year, inspect the different parts of the pressure washer. Routine maintenance is needed to avoid costlier repairs and to ensure the optimal functionality of the equipment. At this point, I hope that looking for an electric pressure washer is now an easier task for you. Sure, the choices will be almost endless. Almost every manufacturer will claim that they are the best. However, do not just believe what they are saying. You need to be responsible to differentiate the possibilities and decide which one is worth your money. What are good hose replacement for AR 383 pressure washer? I have a AR 383 electric pressure washer which it came with a detergent bottle . I want to replace the hose and as upgrade the gun with the wands. Anyone recommends me a good pressure gun to buy where I can attach a foam cannon and as well with good wands. Also I would like to replace the hose in order to make it compatible with the pressure gun. Im looking to get a pressure washer to clean the front of the house brick, Wooden fence, the concrete porch, painted columns, and possibly the vinyl siding along the back. Part of the front is stucco & there is a wooden trim just below the roof. What kind of washer should I get? gas or electric? I have seen these Karcher K3 1800 psi electric pressure washers at amazon for about a $120.00 and I was wanting to know if these units are any good. I have read some user reviews on the Internet and have talked to some people about these and I am getting conflicting answers if they are any good. I was thinking about buying one to use around the home. Such as, cleaning the patio, porch, the driveway and so on. Any help will be appreciated. Thank You. Currently, many electric pressure washers are available in the market, one of which is the Karcher K3. The unique selling point of the little machine is the four wheel base which makes it easy to maneuver around as you clean. Go through this article to find out more about its features along with some pros and cons associated with the device. Designed for smaller jobs, it offers 1800 PSI 1.3 GPM cleaning unit. The power level is not so great. Do not expect it offers enough power to clean tough stains on concrete. Pressure washers in this class are ideal for applications such as washing cars and wooden deck. The cleaning power is comparable with the Powerworks 51102 that offers 1700 PSI and 1.4 GPM. If you want a stronger electric unit, the Force 1800 may be the right cleaner for you. The 1800 PSI power washer offers 1.6 GPM and 2600 PSI IPB (Initial Power Burst). All of the three models come with a low profile design. What makes the Karcher K3 stand out is that it rolls along on four wheels. At overall dimensions of 535mm × 311mm × 335mm (L x W x H), the footprint is relatively small. It can be stored almost anywhere. Unlike many of the rivaling products that require you to switch from one nozzle to another in order to adjust pressure, with this unit, you only need to rotate the handle to adjust pressure. The washer is shipped with a Vario Power Spray (VPS) Wand that allows you to adjust water pressure level right at the wand. The “4 legged” model also includes a dirt blaster nozzle that offers circular cleaning pattern. Designed for tougher cleaning jobs, the pinpoint nozzle puts more water pressure by up to 50%. The motor shuts off when the trigger is released. This also helps reduce noise. The wands all store on the machine so you always have everything available in one location. Karcher also equips this model with an integrated soap dispenser which could help you speed up the cleaning process. The dispenser comes with a large opening. A 15ft high-pressure hose is provided, shorter than the upright model. Longer hose (25ft) and other optional accessories such as extension wand, rotating wash brush, and pipe cleaning kit are available for purchase to enhance your cleaning capabilities. The customer feedback for this product has been very positive for the most part. It currently has a review rating of 3.9 out of 5 stars. The rating seems to be lower than the stand up version. This model comes equipped with a maintenance-free non-corrosive N-Cor pump, which is a good thing. However, a number of reviewers seem have an issue with water leakage. According to some of them, the primary source of leakage is the plastic fitting that attaches to the pump. A number of people have also noted issues with the front wheels. Customer feedback suggects that this little pressure washer is relatively easy to assembly. However, according to some reviewers, it is not easy to put the two front wheels into place. Obviously, some parts of the 4-wheels power washer leave something to be desired. That said, it is important to remember that most of the customer reviews have been positive. Many people have been impressed with its ease of use and mobility. The handle on the top will make it easy to move the washer from one spot to another. Other positive comments have been made for how quietly it operates. In terms of performance, some people wish it had a bit more pressure. However, the majority of reviewers have been pleased with the performance of this corded-electric power washer. It has plenty of power for general home cleaning. The consumer grade unit might not be the best product available for home use. However, if all you need is a cleaner which is easy to get around, then the Karcher K3 Follow-Me may be for you. I have a husky 1750 electric pressure washer. I’ve had it about a year and it works pretty good. The power is ok. Its only 1.5 pgm and will handle most homeowner needs, but its not going to tackle really tough jobs. One thing I dislike about the electrics is the power cord can sometimes get in the way. The wand is attached to a 25 ft hose, so if your washing your car it can be a little bit of a pain moving the pw around the car. The hoses and the power cord always seem to get stuck under the car tires etc. However the zero maintenance makes up for it. I want to buy an electric pressure washer under 100 dollars just to clean my concrete patio and driveway and want to know which ones are quietest. I know they will make noise just want to know if one is quieter than another. I was looking at the karcher k2’s and the Ryobi ones. If anyone has experience let me know. I don’t mind noise just don’t want it to be obnoxiously loud, Thanks. What type of electric pressure washer should I use to clean up the green algae on the vinyl on side of my house? What brand electric pressure washer, PSI, etc, and what should I use like just bleach? I want to clean the concrete too. I bought the powRyte Elite electric power washer and paid for one day delivery. It came as promised but it did not include the High Pressure Hose. It is no good to me as is and Amazon can only return and order again. I just need a high pressure hose. Where can I get one or can the company send one overnight mail. I will be forces to return the unit if I cannot get a hose now. I expected to use the washer today and planned to do so. Now I may not be able to Powerwash my deck and concrete sidewalks until another time. I have a stall shower that is filled with mildew. The base tiles and ledge are covered in soap debris and when I scrubbedi it did not seem to make a difference. This is my son’s old bathroom, No one uses it but I guess the room is too well sealed and needs periodic ventilation. I have had mildew issues before in the house (downstairs shower) and find that the applications in the spray bottles don’t get all of it. I see mildew both on the tiles on the floor and walls and in the grout on the walls. Is it safe to use a pressure washer inside on shower tiles? I’m in the market for a power washer to clean the vinyl siding on my house. I have a cheapo electric model (1300 psi), that works fine on my wooden deck, and on the siding I can reach. However, the sides of my house are about 30 feet high from ground level, and it can’t reach that high. So I’m wondering what is the minimum power level I need to throw cleaning solution (and rinse) to that height. Since I’ll use it only 2-3 times a year I don’t want to sink a lot of money into it, but I still need something that will get the job done. Will a higher-end electric model (e.g., 2000 psi) meet my needs, or is gas the only option for me? Any thoughts on the minimum psi I need? I bought a PowerBoss Gas Pressure Washer 3100 PS last year for under $500 and it was okay. It cleans dirt off my cement drive way much better. It also reaches the second story windows of my house with more pressure and more volume. 3.5 gal is always more water than 2.5/min. I recently borrowed a 1700 PSI electric washer to clean my patio. Worked great, got rid of mold and all sorts of gunk. It wasn’t quite enough to clear out old green algae spots on my driveway unless I held the sprayer really close to the concrete and went two inches at a time. But for all the other stuff it did exactly what I needed and it’s fun, too. I’ve heard people say good things about the 1600 PSI pressure washer Greenworks . It’s short on features, but if you only want it for one purpose and already have a foam lance, it should do the job. One thing you might want to consider: Do you have a high-pressure or low-pressure foam cannon? If you have the MTM, they make two models, one for up to 2600 psi and another up to 5000 psi. The 2600 does a better job with lower-psi machines. I want to buy an electric pressure washer under 100 dollars just to clean my concrete patio and driveway and want to know which ones are quietest. I know they will make noise just want to know if one is quieter than another. I was looking at the karcher k2 and the Ryobi ones. If anyone has experience let me know. I don’t mind noise just don’t want it to be obnoxiously loud. Currently, I have a gas pressure washer, but I am looking for an electric model for indoor use and just generally don’t need the noise of the gas model. Does anyone have any recommendations on an electric pressure washer? I was considering the hyper tough electric pressure washer, similar specs to my current model, which works well for me? I have both an electric greenworks 1600psi and a meditool electric pressure washer 3000 psi . I won the greenworks in a raffle. It works good for what it is and will clean items that don’t need alot of pressure because 1690 is not a lot of pressure. It will clean a deck and has enough psi to damage the decking if your not careful. Its psi is perfect for cleaning your car as well. The power cord can make moving the pw a pain especially with the hose attached, the pw hose, and the power cord. The reason I bought the Meditool was to clean the siding on my house. The husky just doesn’t have enough gpm or pressure to effectively clean siding. I used vinyl siding wash and I had to get within about inches of the siding to clean it off. Honestly for the time I spent just cleaning one garage door, I would have spent a lot less time with a regular hose and a scrub brush. I think more of the water ended up on me. The ridgid has enough power to clean the house and I don’t need to get anywhere near as close. If you have small cleaning jobs, the 2000psi will be fine, but driveways, siding etc your going to want something with much more gpm and more psi which means more than $200.